While I was on vacation, I promised more commentary on Matsuyama v. Birnbaum, a landmark medical malpractice opinion on loss of chance from the Massachusetts Supreme Judicial Court. In Matsuyama, the 42 year-old Plaintiff’s decedent, Mr. Matsuyama, saw the Defendant doctor, a board-certified internist and the Plaintiff’s primary care doctor, for a physical in July, 1995. Mr. Matsuyama’s medical records from that visit indicated disclosure of complaints of gastric distress for the last seven years and that Mr. Matsuyama’s prior doctor had noted that he might need additional tests to evaluate his symptoms. The Defendant doctor testified that Mr. Matsuyama complained of “heartburn and difficulty breathing associated with eating and lifting.” The Defendant also knows Mr. Matsuyama was a smoker at high risk for developing gastric cancer. Without further testing, the doctor diagnosed Mr. Matsuyama with gastrointestinal reflux disease. I’m getting deeper into the medical facts here than I would like, but you get the point. Mr. Matsuyama went back to the doctor with more symptoms consistent with gastric cancer and his doctor continued to fail to test more thoroughly for cancer. But in May, 1999, when his symptoms went through the roof, the doctor ordered a gastrointestinal series and an abdominal ultrasound, which quickly revealed a two-centimeter mass in Matsuyama’s stomach. He died in October, 2000, leaving behind a wife and child. After a six-day trial in Norfolk County Superior Court, the jury found the doctor negligent and found that the doctor’s medical malpractice was a “substantial contributing factor” to Mr. Matsuyama’s death and awarded Matsuyama’s estate $160,000 for pain and suffering caused by the negligence. Then, in response to a special jury question, the jury awarded damages for “loss of chance.” They calculated the damages to be $875,000 as “full” wrongful death damages and found that Matsuyama was suffering from stage-2 adenocarcinoma at the time of doctor’s initial negligence and had a 37.5% chance of survival at that time. The Norfolk jury awarded the plaintiff “final” loss of chance damages of $328,125 ($875,000 multiplied by .375) for a total of $488,125. The Massachusetts high court found that in spite of the fact that the jury found that the Plaintiff has less than a 50% chance of survival, Massachusetts should join the “substantial and growing majority of the States that have considered the question” and find that the 50% all or nothing rule is unsatisfactory. Specifically, the Massachusetts court noted what I think is common sense to laypeople: a “blanket release from liability for doctors and hospitals any time there was less than a 50 percent chance of survival, regardless of how obvious the medical malpractice was, is just plain absurd. I think the old loss of chance law – and the one we still regrettably have in Maryland – is a relic that needs to be discarded because it is based more in history than common sense. (5) The jury then multiplies the amount determined in Step 1 by the percentage calculated in Step 4 to derive the proportional damages award for loss of chance. Most attorneys struggle at math problems that go beyond multiplying 40% of a settlement or verdict. So let’s break this down to a real life example. Let’s say the jury would award $2,000,000 award (humor me – I like pretending that justice prevails and there is no cap) if there was no loss of chance issue, a 40% chance of survival and 20% of the loss attributable to negligence. Intuitively, common sense tells you it should be a $400,000 award. And it is. You just calculate the difference between the survival rate and the rate attributable to the negligence and multiply by the full no loss of chance verdict (i.e. the pure wrongful death value of the case). 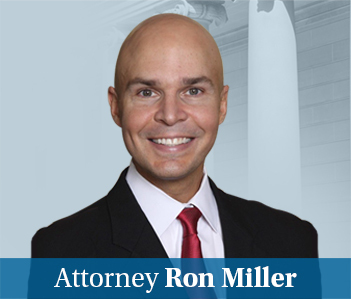 The Maryland Court of Appeals has a loss of chance case pending, Marcantonio v. Moen, another delay in diagnosing cancer case where the Plaintiff claims that his wife’s chances of survival went down from 80% to 50%-60%. I sure hope that Maryland joins the 21st Century and acknowledges any loss of chance for the meaningful loss that it is.